BuyAntibiotics-24h.com is an online pharmacy which, as much as we can see from its name, is an online pharmacy that is oriented in selling antibiotics online and from checking its main page they seem to be oriented in selling generic antibiotics mostly. We are going to try and find out if they sell anything else and if they offer both generic and branded or only generic medications. On their main page, people can read a lot of useful information about antibiotics, especially if a person doesn’t really know what he/she needs. There is information answering to the following questions: *what are antibiotics? *; *what kind of antibiotics are there? *; *what antibiotic to choose? * and lastly: *where one can purchase antibiotics?*. I think that it might be useful for everyone to read all that information before ordering and taking antibiotics. According to the information on their site, they do understand that not every person can allow buying very expensive pharmaceutical and because they understand this, they are selling perfect alternatives where people can save up to seventy percent and in the same time be sure about pharmaceuticals quality they can get from this pharmacy. That’s because, as they claim, the products are being approved by presence of FDA/ WHO standards compliance certificate by the producer. There’s information suggesting that they are delivering medications word wide to any country within 2 days from order payment and people don’t need a doctor’s prescription to get the meds. That might be a problem as we all know that antibiotics require a prescription and that’s not a sign of legibility of the company. According to the copyright information the pharmacy has appeared in 2013 which means they are online for 5 years now. So that’s a pharmacy specialized in different types of antibiotics which takes customers anonymity very seriously. As said earlier, the pharmacy is offering antibiotics and I have tried to find out if they are offering anything else and it seems they don’t. This pharmacy sells exclusively only antibiotics and I said that I would try to find out if they sell both generic and branded drugs and it seems they do offer both types of antibiotics. According to the information on the site, they are offering antibiotics of different pharmaceutical types and they include antibiotics as: pills, salves, solutions, capsules, syrups, drops, suppositories, gas dispersoids. The assortment of antibiotics at this pharmacy includes well known antibiotics and less known antibiotics as well: Amoxil, Zithromax, Noroxin, Augmentin, Flagyl, Erythromycin, Doxycycline, Tinidazole and many others as in total, they seem to have 42 different antibiotics on the site. People can easily see each one of them by checking the left side of front page where all of them seem to be found there. Each medication is coming with a short description as well. In the end, the assortment of medications seems to be very wide if talking only about the antibiotics. However I don’t think that it would be logical to search for other types of medications on a pharmacy with such a name. I think that people can hardly find such a big variety of antibiotics on other pharmacies and customers stand a very big chance they would find the needed antibiotic here. For this reason I am going to rate buyantibiotics-24h.com with a 5 stars mark. It is obvious that getting medications online people are mostly searching for saving money when getting their drugs and low prices is what interests us most. I’m not a big expert in prices for antibiotics, but I’m going to try my best to make a reasonable conclusion about the prices affordability. 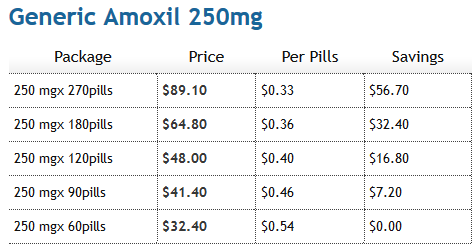 So checking the prices here’s a list of prices for antibiotics that I’m familiar with myself: starting price for Generic Amoxil (250 mg) is $0.33 per pill; starting price for Generic Augmentin (250 mg) is $1.38 per pill; starting price for Generic Erythromycin (250 mg) is $0.31 per pill; starting price for Generic Flagyl (200 mg) is $0.20 per pill. If someone’s interested in other products check those prices on the site. I need to make it clear – these are the lowest possible prices for a pill, however they can be much more expensive in case you’re going to get less pills or higher dosage. As much as we can see, the prices per pills are getting lower the more pills you’re getting and therefore, the savings are getting even higher. 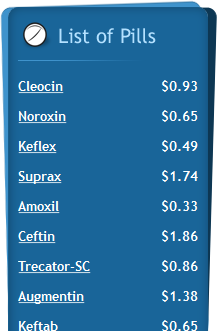 The savings are getting higher for more expensive antibiotics, and obviously the price is higher as well. In the end, considering the usual prices I knew for a pill for such antibiotics, these are some really inexpensive antibiotics on this website, in fact, I think that they are one of the lowest priced antibiotics that I’ve ever seen. That is why, taking in consideration that there are barely any other pharmacies out there that might offer lower prices, I am going to rate this pharmacy with a rate of 5 stars for the indeed low prices of antibiotics they offer. As I earlier mentioned, this online pharmacy is claiming that customers are able to get their medications regardless of where they live as the company offers shipping options to any countries. Plus to that, the pharmacy is promising a discreet delivery service, reliability as well as a quick delivery overall. According to the information on the site, the orders are being shipped in maximum 2 business days after the order payment is received meaning that they do not process on Saturday and Sunday. That’s quite a drawback as, for example, if you order on Saturday morning then your order might be shipped only on Tuesday so you wait 4 days only for it to be shipped. Also, according to the information on their website, they are using different shipping companies such as: EMS, UPS, DHL, Royal Mail, Unites States postal Service or Australia Post. According to the information on their website, the pharmacy is offering 2 shipping options: airmail that has a fee of 10 USD an trackable service with a fee of 30 USD. The pharmacy is claiming that EMS is having tracking online and it takes 5 to 9 days to delivery while standard shipping option is not having a tracking online and delivery of 14 to 21 days. In addition to this, the pharmacy is claiming that customers can get free shipping option (standard) but only if they have an order with a sum starting at 200 USD. The company promises delivery guarantee and refund guarantee. This means that if the customer gets the wrong items or the items were damaged/ lost in transit then they get a free reship or money refund. In the end, my rate is only 3 stars for the shipping policy. There is no overnight shipping option to anyone, not even to people living near their drugstore, the EMS tracked shipping option is really costly plus other online pharmacies order processes is made within 24 hours, while here can be up to 4 days if you order on a week day. Right on their main page, the company has shared information suggesting what are their payment methods. Unfortunately, I can’t see there anything else than just credit cards. As we can see in the screen, they only accept Master Card, Visa, Diners Club, JCB and American Express. In addition to that, I went on their checkout page where I noticed that the pharmacy is also offering echeck and bitcoin as accepted payment methods. I really think that such a variety of credit cards, along with cryptocurrency and echeck makes this pharmacy well deserve a rate of 5 stars. When we talk about technical characteristics of an online pharmacy or any other website we often think about the page loading speed because that’s the first factor people usually pay attention to: how fast the pages are going to load. When the pages are having a slow page speed loading, many people might not want to access such a site. That’s the reason I decided to check the page loading speed of this site using the Google Page Speed Insights test. Using that test here’s what I determined about BuyAntibiotics-24h.com. As much as can see in the screenshots, the mobile version is still having issues that should be fixed because currently, users might experience a slow page loading speed because the test is yellow marked indicating an medium level. Those issues should be fixed. The image on the desktop version looks much better as it is better optimized but unfortunately, it still needs a bit of work as it is not all perfect. Overall, the test shows a fairly good outcome, however there are still problems that needs to be fixed. My rate for this is 4 stars. Although this online pharmacy does seem to have a mobile version of their website, it doesn’t seem to be too practical. That’s because this online pharmacy’s mobile version is definitely not perfect and there are still many drawbacks that need to be fixed and optimized. Customers using the mobile version of this site might be disappointed, at least I was when I was trying to access it using my smartphone. That’s because the front page is containing a lot of secondary information that needs to be scrolled down until you get to the main information. Also, to check the products offered you’ve got to scroll a large text as well. Many of the images are simply not displayed correctly or they are cut off improperly. Then again, using the google mobile friendly test you would see that they do have a mobile version which you can see using your smartphone, however customers might still have issues when trying to order from a mobile device and that’s the reason why my rate is 2 stars for this unit. Purchasing from an online pharmacy it is obvious that a secured shopping environment is necessary otherwise customers might get their personal data (such as credit card information) getting stolen. Generally, I can’t recommend any of the pharmacy that doesn’t offer a secure connection since customers can’t be sure that their information is protected. 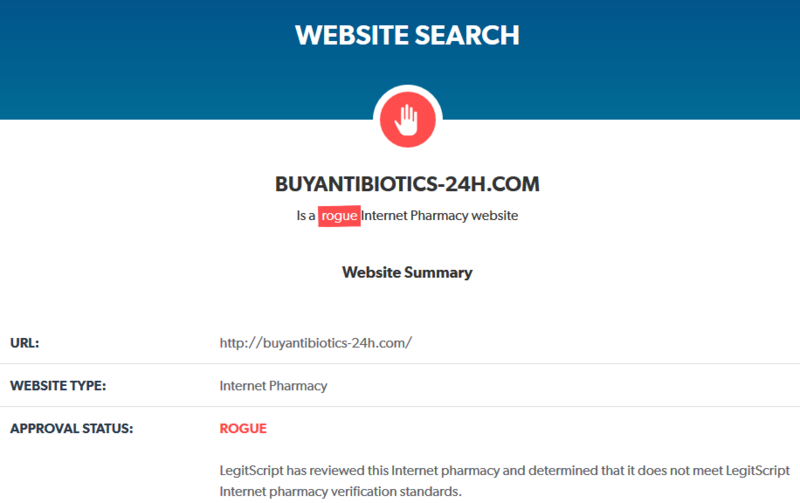 Luckily, buyantibiotics-24h.com does use a 256 bit SSL (secure sockets layer) software on their website and that’s a very high security level which guarantees that the information sent on the pharmacy is being secured. This security level is verified by Thawte, Inc. Since the pharmacy does use a secure connection and a high secure connection my rate is 4 stars here. I am not going to rate them perfectly since the information about the owner of the site is hidden but only a complete transparency between the company and customer would make it perfect. This online pharmacy does use a high encryption level but they do not use any antivirus software on their site against internet viruses. Without an antivirus on their site, it is risky for customers to browse and surf an online pharmacy because this way you can’t be sure that your device is not going to get inflicted with viruses or some other internet threats such as malwares, spywares and others. I have only found on their secure checkout page an icon suggesting they are GeoTrust secured and McAfee antivirus secured. Nevertheless, none of those icons are clickable and this means that those are only icons and nothing more without any reliability. Since customers have the risk of getting their computers inflicted with viruses, my rate is going to be 1 star. How to Order from BuyAntibiotics-24h.com? I’m pretty sure that many customers might not want to have any type of business with an online pharmacy that’s not really convenient to simply order whatever they need from the site. so, the first thing that I pay attention to when I’m searching for *how to order online* is either you need to undergo an registration or not. Seemingly, we don’t. I honestly think that this is really good when customers do not need to register first before making an order from a pharmacy as this greatly saves you time when trying to order online. Before explaining the ordering procedure I need to say that this pharmacy offers the customers the option to change the currency on the site and this adds up points for the ordering procedure as this may make it easier for customers to understand the prices. Another thing that I really like is the description about each medication you’re about to choose, the fact they offer what’s the full price, what’s the price per pill and what is your savings too. I also like that you can easily find your needed medication either using the search function available on their website or you might click on the medication right from their main page. In addition to all of that, the ordering procedure is very fast and very simplified as it goes like this: ou just need to select an antibiotic by clicking its name, choose the dosage and the amount of tablets you want to order and proceed to “Checkout”. After that they transfer you to a Secure Checkout Page , where you need to fill in the information required such as Billing Address, Shipping Address, Payment Info, and click on “Submit Order” button. If your order is accepted they will sent the confirmation message to your e-mail. I honestly think that the ordering procedure is very fast with very helpful options and it is all maximum simplified. This is making me rate this online pharmacy with a perfect rate of 5 stars. I suggest to check the website reputation of any online pharmacy by checking the rating of that pharmacy on scamadviser.com. unfortunately, I haven’t found too encouraging information to purchase anything from this site. This pharmacy’s domain age is 249 days instead of 5 years as they claimed. Plus, the probable website origin is Russian Federation – a high risk country. Plus, no info about organization or owner or address is given either. This review is getting a rate of 1 point. There isn’t one. At this online pharmacy, customers can get any antibiotics without the need to have a legal prescription although antibiotics are Rx classified because we all know that antibiotic is an extremely potent and serious drug which can have really bad and severe consequences. The non prescription policy suggests that pharmacy is having an irresponsible approach of selling drugs and for this reason, Buy Antibiotics receives 1 star. This online pharmacy has 0% trust rate from scamadviser.com and it has no prescription policy. 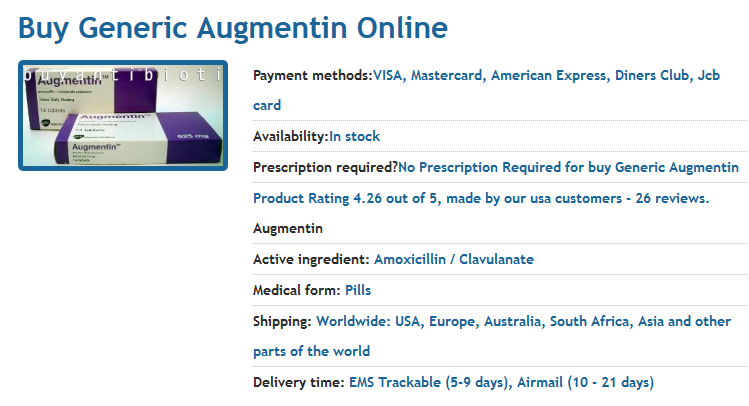 This made me already have a feeling that the legitimacy status of buyantibiotics-24h.com won’t be good. my feeling was right. This online pharmacy got an approval status of ROGUE which means that the pharmacy failed to meet the accepted pharmaceutical standards. With such a status I can easily rate this pharmacy with 1 point for this legitscript.com review. I always said that checking customer reviews is really important as this is a good indicator whether or not the pharmacy is reliable and legitimate. It is very good to check them because the positive reviews confirms the legitimacy of the pharmacy while negative reviews might warn us all to stay away from this scamming site. I’ve been searching through their website but unfortunately, I was not able to find any customer reviews anywhere on their site. It seems that the owner of the site didn’t make any opportunities for customers to come back and write a review about their experience they had with the store. 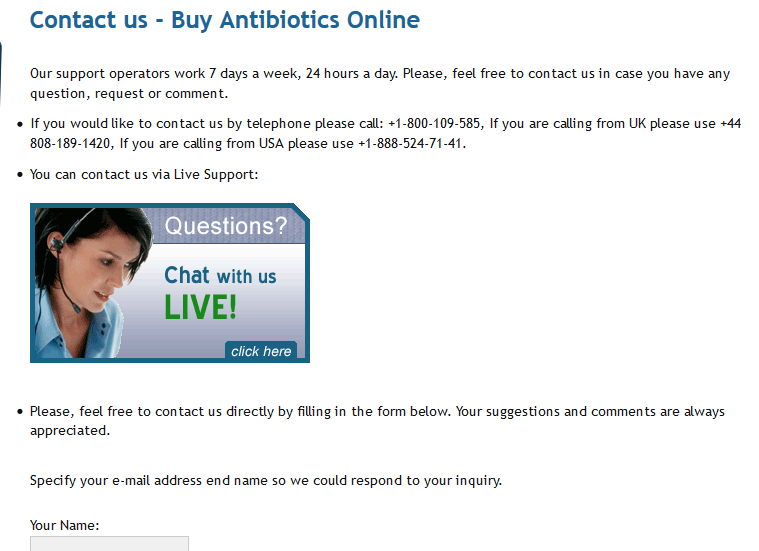 I find it really sad that Buy Antibiotics 24h doesn’t have any testimonials on their site. So, since there’s nobody that has shared their experience with the pharmacy, we can’t assess the reliability of this pharmacy based on customer reviews. For the lack of customer reviews on the site my rate is 1 star. Another big problem is the fact that I have found no customer review anywhere online either. As much as it seems, buyantibiotics-24h.com is not having a single customer review absolutely anywhere online – not on their website, nor anywhere else. I do remember the fact that the pharmacy is claiming to be online for 5 years so this makes it strange how a 5 years old pharmacy with good prices has no customer reviews? I also remember the fact that scamadviser.com, on the other hand, suggests that they appeared less than a year ago and maybe that’s the reason why they do not have any customer reviews anywhere. However, I still think that this complete lack of any type of customer reviews is a big problem that site administrators should pay attention to and at least adding the option to write a review on their own website might be helpful. So far, my rate is 1 star as well. As we can see, they are offering 10% discount to next orders, free shipping on orders over 200 USD, free bonus pills and some other form of bonus. My rate is 2 stars for all of this. 200 USD is a lot to get free shipping, it is unclear what kind of bonus is given or what type of free bonus pills are offered. The only worth thing here is the 10% discount on next orders. According to the information on their main page, there are 3 different ways to get in touch with this pharmacy and they include: either calling them by phone numbers which you can see them listed on the site, either writing them using the contact form or using the live chat function. My rate for this information on their contact information page is 2 stars because it misses a lot of information such as email, physical address and other. The fact that this pharmacy does offer the live chat function is a really big plus and using this option I managed to confirm that this pharmacy, does not offer any coupon codes, but they do offer the 10% discount for further orders. That’s the information I managed to get talking with their consultant which answered in a matter of a few seconds. My rate is 5 stars for the customer support service. BuyAntibiotics-24h.com is an online pharmacy which is selling both branded and generic antibiotics only. You can’t find any other drugs at this pharmacy but at least you can save some money by getting antibiotics due to their low prices policy with 10% discount on next order which got confirmed by their good customer support service. They also have good security level on site and a very wide selection of antibiotics with medium technical characteristics of the site. But unfortunately, the company does not offer any other ways to save money and no coupon codes. 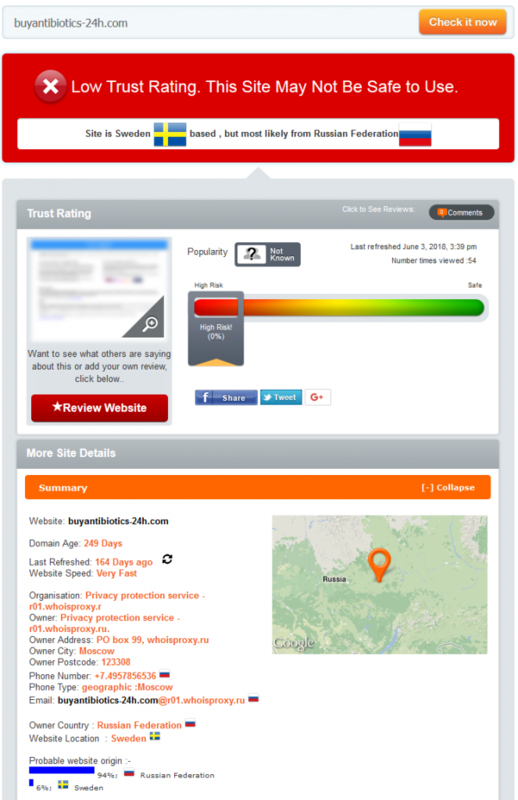 They don’t have an antivirus on the site, not practical mobile version of the site, low trustworthiness by scamadviser.com and rogue status by legitscript.com with hidden information about the website location, owner of the site or other essential information. I will make a mistake by saying that buyantibiotics-24h.com is a 100% safe place to get your drugs from.